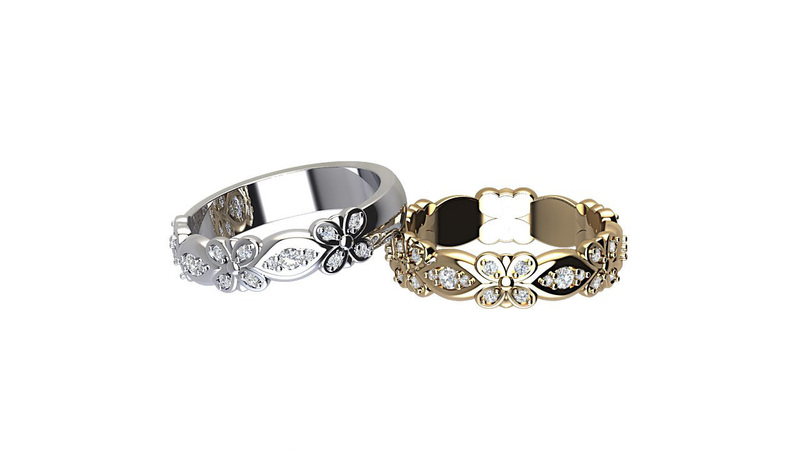 This stunning eternity ring boasts art deco floral design. This ring is available in all precious metals & finger sizes. All our eternity rings can be altered to suit any budget.